I think the title of this blog, "EVERYONE WANTS TO BE AN AUTHOR," is so true. I know it was for me. It took me a long time to get published, plus it took the help of some fantastic writers and critique partners to get there. But "Bridgetown High" is the result. It's not well known, yet, but those who have found it, and read it, loved it. Have you gotten your copy yet? Remember you can get it in either Kindle (electronic) or paperback versions. Either version can be found on Amazon. Also, remember, the sequel I'm calling, "The Bridge Beckons," is in the works. Well, today I promised you I would talk a bit about Dean Koontz's advice that we have "well-drawn backgrounds." Koontz goes into a lot of detail about this subject. Consider, for a moment, that if you've never been to the place where your novel is set, how can you portray it adequately so that the reader feels he/she knows the place? If the reader can't picture the place/setting he's going to toss the book in the trash. I've had to do that when critiquing some novels by new writers (that wasn't the only reason, but a big one). I simply couldn't follow the story, or get set in the background. It just didn't seem real. I struggled with getting the setting right until I set my book in someplace recognizable. But even more than that, I also did a lot of research into background setting. It starts with a "real" funeral parlor in a real town, that even if you'd never been there you can still see it in your mind. 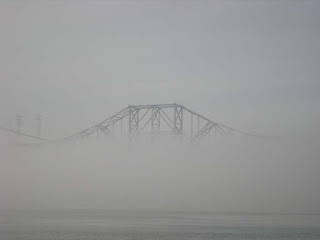 Then, I set most of the novel in the shadow of the Carquinez Bridge overlooking the small town of Crockett, California. The bridge plays a big role in the story line. 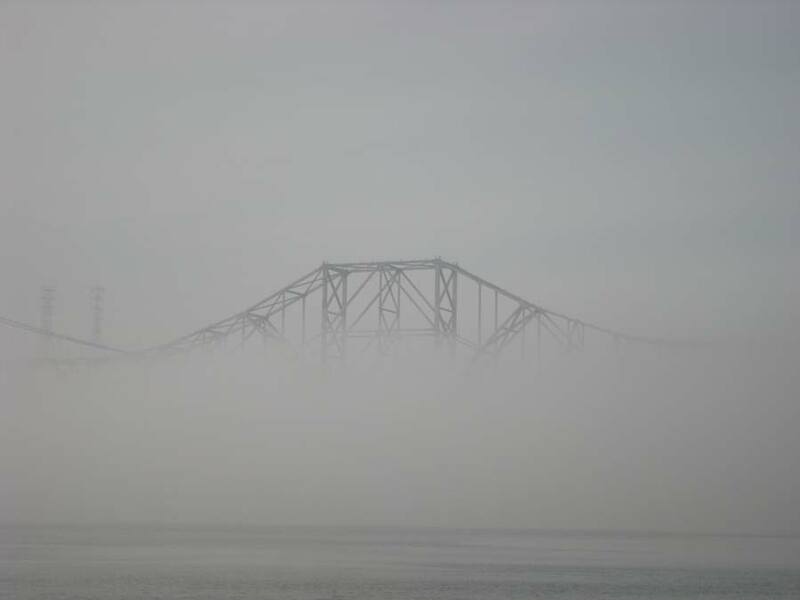 Actually, the Carquinez Bridge (about 35 miles northeast of San Francisco) is quite recognizable to anyone who's crossed it with the huge C&H Sugar refinery at the base of the south end of the bridge. Then, the next, and probably the biggest setting, is the local high school, John Swett High School in Crockett. I had to reach back in my memory banks a lot to make sure the setting was accurate the way things really were back in 1965, when the book is set, and that has been a big draw to readers who have been there. Now, if I hadn't set the book in these settings, I suppose I could have set it anywhere, as long as I did the research sufficient to portray the setting accurately. And, that's where science fiction and fantasy come in. Most often, these genre do not have known settings and the author, not if not doing a good job at the descriptions, asks us to suspend disbelief. To me, that's a tough assignment. These settings are most often totally made up by the author, hoping that the reader will follow the made up descriptions. Not an easy thing to do, but I applaud those who have done it successfully. Not being a huge fan of these genre, I frankly don't know how these authors do it. They have to completely create a new background and be true to it all the way through the story, and many times the background/setting becomes a character as well, with motives of its own. That's all for today. If you have any questions, or don't understand something I said here, drop me an email (paulwwest@yahoo.com), or leave a comment on this blog or Facebook site where I also post these blogs. So, until next week, as always, if you like this blog, please remember to "Share" and "Like"it on Facebook , and "Tweet" it on Twitter. Then PLEASE, take five minutes to write a review and post it on Amazon or Goodreads. Also have you signed up for my email letters from this Blog Site? I would love to see you there and have you introduce yourself and give comments, good or bad, to this blog. And also keep in mind "BRIDGETOWN HIGH" is still available on Amazon. Also, you can read some GREAT reviews of BRIDGETOWN HIGH on Amazon and Goodreads in case you need more info about my novel. And keep in mind, if I ever get some free time, I have a sequel in the works. P.S. I have no idea who took that picture above, so I hope he/she doesn't mind my using it.